FORT WAYNE, Ind. - From basketball to martial arts, Fort Wayne will host seven sports tournaments and an estimated 11,000 participants, officials and parents this weekend. 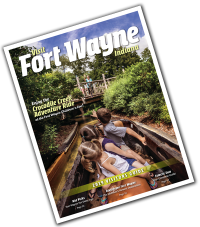 For more information, contact Visit Fort Wayne President/CEO Dan O&apos;Connell at 260-424-3700.